A pedestrian is bundled up against the snow while walking in front of the South Philadelphia Library on Monday morning. A winter weather advisory means that periods of snow, sleet, or freezing rain will cause travel difficulties, according to the weather service. Expect slippery roads and possibly limited visibility, and use caution while driving. The precipitation will turn to rain Tuesday afternoon or night, the weather service says. There’s a chance of rain Wednesday morning before the skies turn partly sunny. It will be mostly sunny Thursday. Daytime highs will be in the 40s while the nighttime lows will be around the freezing mark. SEPTA: No major problems reported. PATCO: Trains are operating slower than normal, which could lead to minor delays. NJ Transit: No major problems reported. Highways and major thoroughfares are mostly clear, but wet, and drivers are advised to slow down and use caution. Side streets could have snow cover if they have not been plowed. A number of accidents were reported around the region, including a tractor trailer that crashed on the northbound lanes of the New Jersey Turnpike near Exit 3 in Runnemede and a SEPTA bus that ran into a house on 21st and Diamond Streets in North Philadelphia. No serious injuries have been reported in either crash. The Benjamin Franklin Bridge walkway is closed. Vehicle restrictions will be in place Tuesday morning on a number of highways across Pennsylvania, according to PennDOT. No major problems are reported at Philadelphia International Airport. Philadelphia public schools will open two hours late Tuesday. Archdiocese of Philadelphia schools in the city will also open two hours late. Outside the city, many school and school districts opened late Monday and are likely to do so again Tuesday. NBC10 has an updated list. 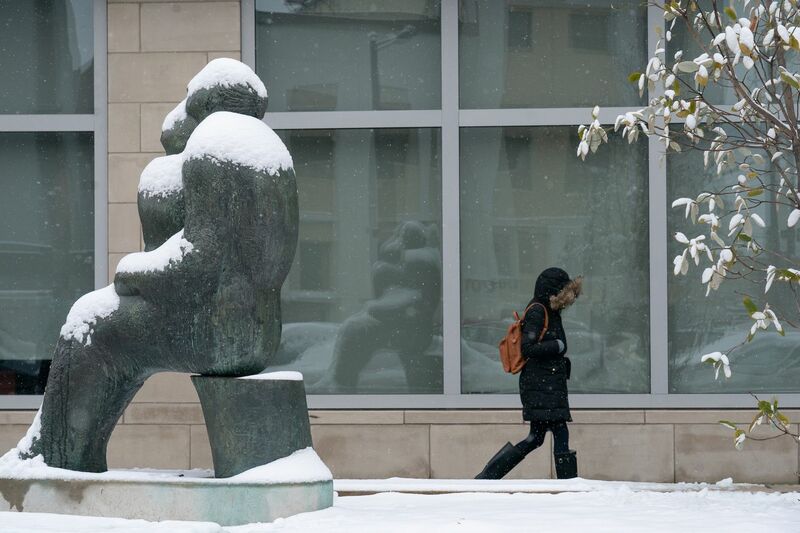 » READ MORE: This is my first Philly winter. And this weather is crushing my soul.